Weddings. You are unlikely to put more thought, care, money, and attention into any one single day for the rest of your life. So you want it to be amazing, right? And if you’re an animal lover, you surely want to plan for a wedding that is aligned with your values and free from animal cruelty. 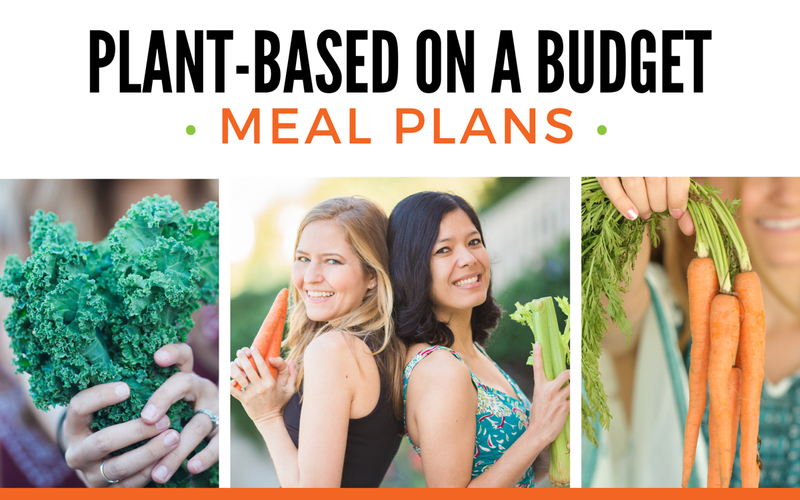 So today I’m here to help you plan your dream vegan wedding! I just recently got married to my hubby (he’s vegan too! ), and there was never a doubt that we would be tying the knot vegan-style. So I began the process of researching all the aspects of a wedding that I would need to consider to keep it cruelty-free. 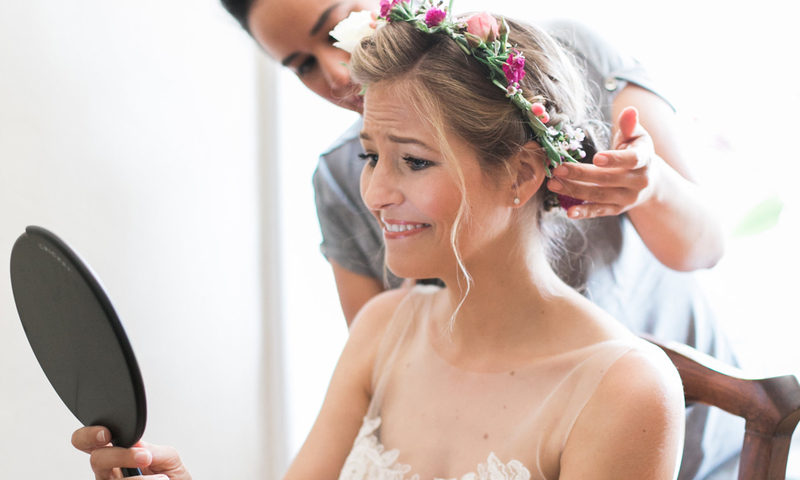 Now that I’ve been through the journey, I’m here to share what I’ve learned along the way to help you plan your own big day! First and foremost, let’s talk food. This is the most obvious aspect of your wedding that will be affected by your choice to keep it vegan. And also the most fun! 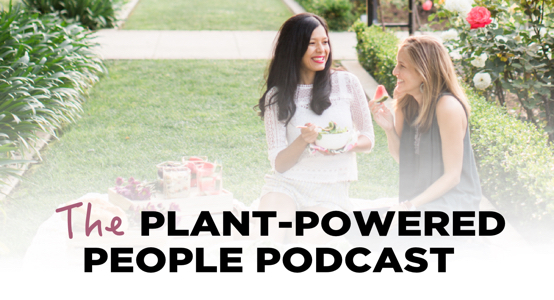 Here’s your chance to wow your guests by the amazing dishes and flavors that vegan food has to offer. 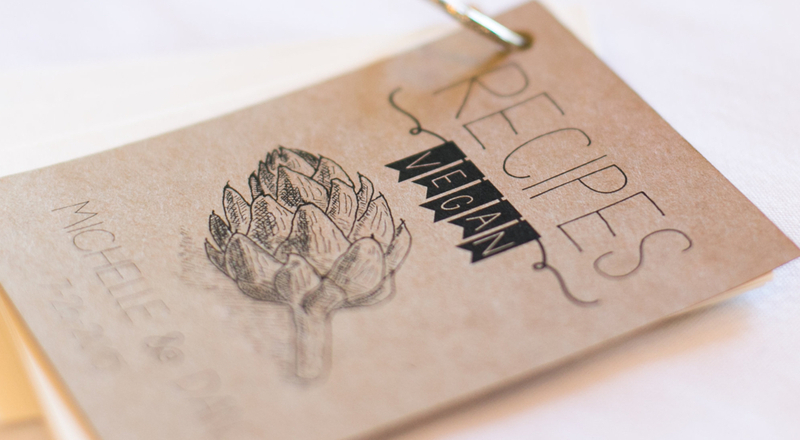 You can find a caterer that already offers great vegan options. You can keep things a bit more casual and bring in your favorite food—this could be pizza, a food truck, or food from your favorite local vegan-friendly restaurant. Even if a restaurant doesn’t ordinarily cater, they may be interested in working with you to make your dreams come true, so don’t be afraid to think outside the box! 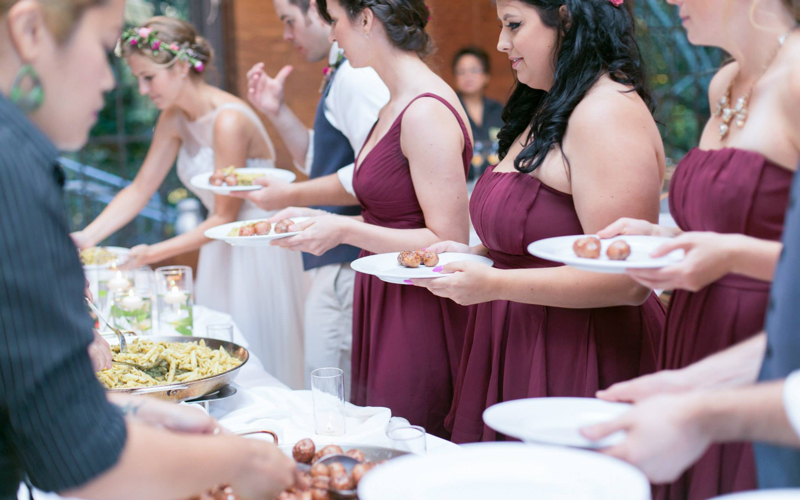 Whatever your food preferences, I promise that you can find a way to make your wedding day food vegan and amazing—it may just take a little extra effort to find the right caterer for the job. If you find yourself feeling frustrated by the challenge, remember that you are paving the way for future vegan brides and grooms. And remember—it’s only food. It’s one meal. You could be eating plain beans and rice and still have the most amazing day because you are marrying the one you love—right? I should warn you that you may receive pushback from your parents or other relatives (especially if their wallet is in the game). You might also overhear sassy comments from your New York cousin who will say “Ohh boy, guess I need to eat before the wedding.” Don’t let these sorts of comments throw you off. This is your day, and anyone who can’t handle one delicious plant-based meal in celebration of your marriage probably isn’t someone you want by your side that day. Stay strong and don’t let your family push you around. There is no sacrifice in this department! Veganizing cake is as simple as using an egg replacer and swapping nut milk for cow’s milk. 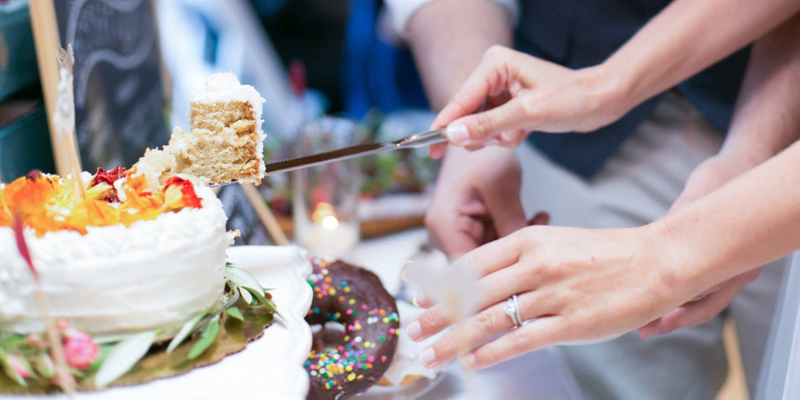 Chances are there is already a baker near you who makes delicious vegan cake, but if you can’t find one, you can always ask any bakery to make one special for your wedding day. Another popular option is to have a dessert bar—this is what my husband and I did, and I absolutely loved it. This way you can include a selection of your favorite treats without the hassle of finding, transporting, cutting and serving a huge wedding cake. Plus, our guests loved picking out and tasting the array of vegan desserts we had there for them! We also got a very small cake to cut and shove in each other’s mouths—a brilliant tradition, if I do say so myself. If you’re new to veganism, you may not realize that some adult beverages are made using animal products. For example, sometimes wine is filtered through fish bladder (aka isinglass). Yuck, I know! You can check to make sure the alcohol you serve at your wedding is vegan at Barnivore.com. If you want to get really fancy, you can order your wine from The Vegan Vine or other companies that put veganism and ethics first in their business. 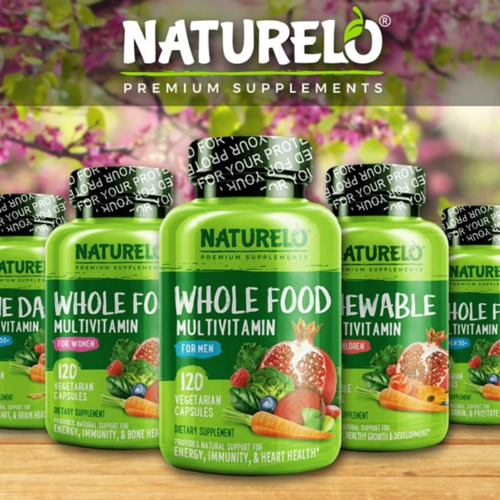 This way you’ll also be supporting a small company you believe in. L’chaim! We all know that veganism is about more than just food and drinks. It’s a lifestyle that excludes exploitation of animals in any form, and that includes for clothing. So as you’re planning your vegan wedding, don’t forget to think about the dress, the suit, the wedding party attire, ties, shoes, and jewelry. It sounds like a lot, but here’s what you need to know. For your wedding dress, just avoid silk and you should be good to go. If you’re shopping on a budget, you’re in luck, because most budget-friendly wedding dresses are silk-free. If you’re going for a super high-end dress, you’ll be encountering much more silk, but you may be able to request that the designer make the dress with non-silk lining. Pro Tip: If possible, order your wedding dress and bridesmaid dresses at least 5 months in advance. I waited until 3 months before my wedding to go shopping with my bridesmaids thinking that was more than enough time. Nope! Many of the styles we looked at required 4-5 months turn-around-time—and that was at David’s Bridal! It sounds crazy, but trust me—don’t wait. For once in life, the menswear is more difficult, as suits are most often made with wool. If you have a flexible budget, you can order custom vegan men’s suits from places like Brave Gentlemen. But you can also find options at local retailers such as Nordstrom’s and JCPenney, it will just require a lot of label reading. 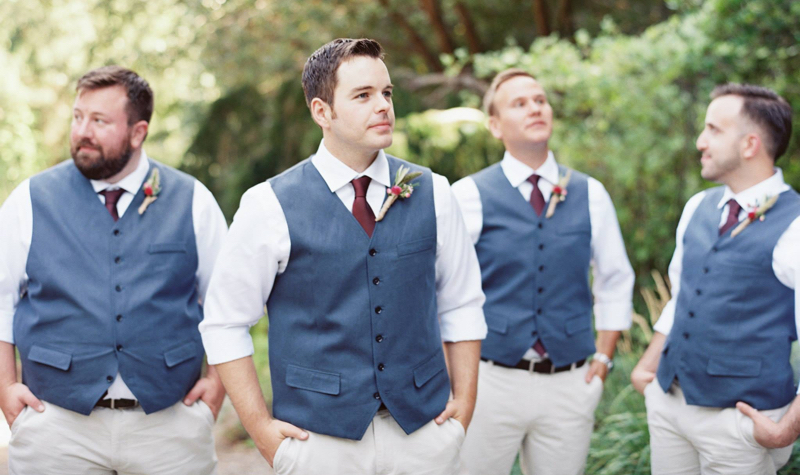 For my wedding, the men wore khaki pants and white button-up shirts with matching blue cotton vests—all of which we got from Men’s Warehouse. The ties were a little tricky, because we wanted them to perfectly match the wine-colored bridesmaid dresses and most of the ties I found in stores were made from silk. Luckily, lots of online shops are popping up with very reasonably priced ties in every color you can imagine. I ended up ordering ours from Bows-n-ties.com, and they matched perfectly! You can easily find man-made (non-leather, non-silk, non-suede) shoes at most stores these days—even places like Payless, Target, Marshall’s, and Zappos.com carry options that could work. But if you’d like to find a pair that’s really special from a vegan brand, check out this list of vegan shoe brands. A few of my favorites are MooShoes, Wills Vegan Shoes, and Beyond Skin. When it comes to jewelry, make sure to stay away from authentic pearls. Also, if you’re shopping for diamond rings, consider how the diamonds are sourced. My husband and I love the company Brilliant Earth as they sell engagement and wedding rings made with ethically sourced diamonds. Whether you’re going for a 60’s up-do or a flowy bohemian goddess look, you will surely feel most beautiful when you create your look using products made from plans and minerals rather than animals. First, do a search for vegan or cruelty-free hair and makeup artists in your area. 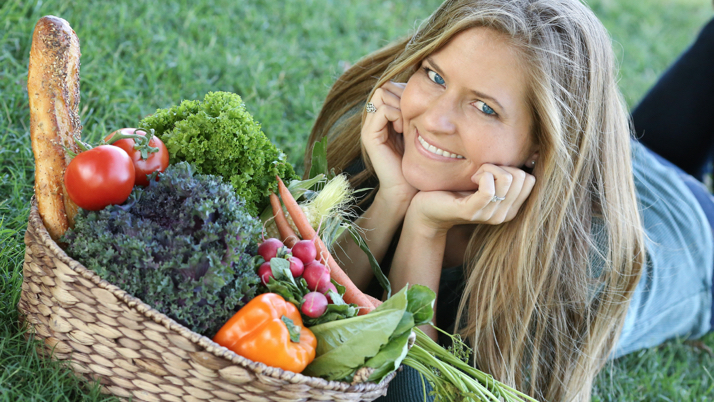 If you can find someone who markets themselves as vegan-conscious—great—book them stat! But if not, don’t worry—you can bring your own favorite makeup products with you for your styling session, or you can let them know in advance which beauty brands are on the “compassionate” list and what ingredients to avoid. Just make sure you communicate with your stylist well in advance so they can be prepared when your big day comes. Also, remember that total perfection doesn’t help animals one bit, so don’t let it throw off your day if you find out that the sweep of blush your stylist used on your cheeks was made with carmine. Just do your best while you’re planning, go with the flow on your wedding day, and trust that you can make the greatest impact on the world and on animals when you don’t get caught up in the minute details. What could possibly be non-vegan about flowers? The most notable thing to look out for in this department is silk. Let your florist know that you’d like your flowers to be wrapped in satin or burlap or a natural twine because you don’t use silk. If you’re eco-conscious, you might also consider asking your florist to source organic flowers that are harvested sustainably. 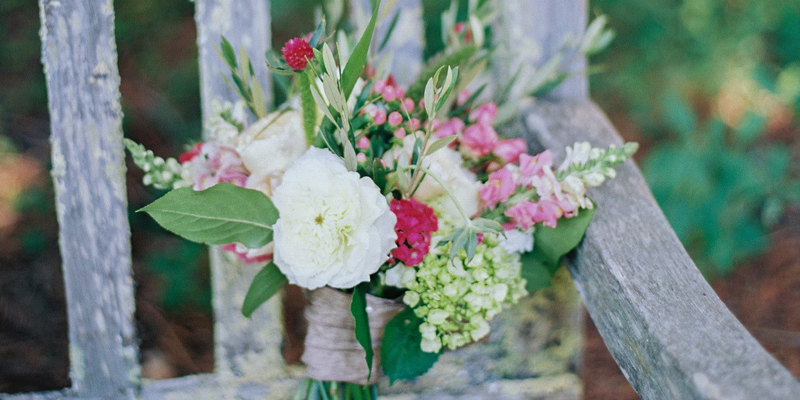 Any florist worth their flowers will gladly accommodate these requests. 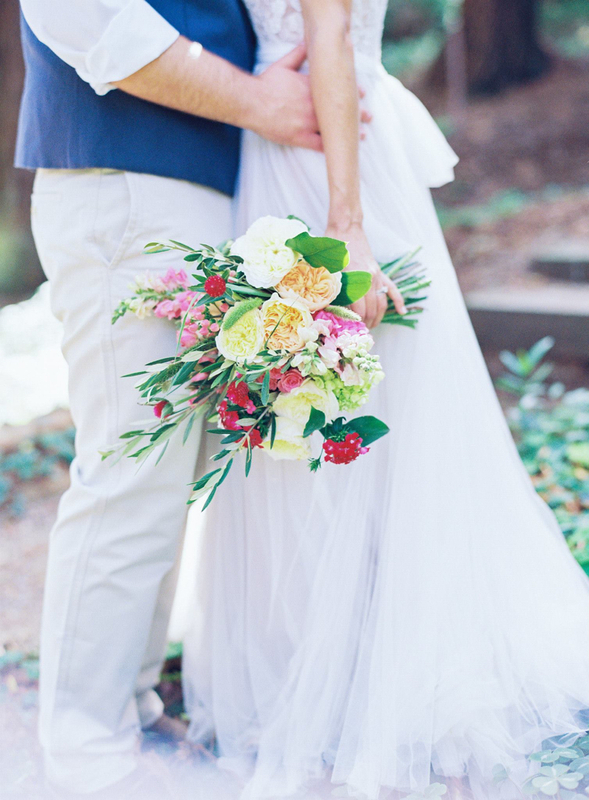 Mention compassion and your mutual love for animals in your wedding vows. Trade traditional wedding favors for life-saving ones like these. Plan a trip to an animal sanctuary in lieu of a bachelor or bachelorette party. Integrate animals into your wedding theme (via your invitation, your place cards, etc). Have your photographer shoot some veggie-themed photos like this. Explore vegan-friendly travel destinations for your honeymoon. 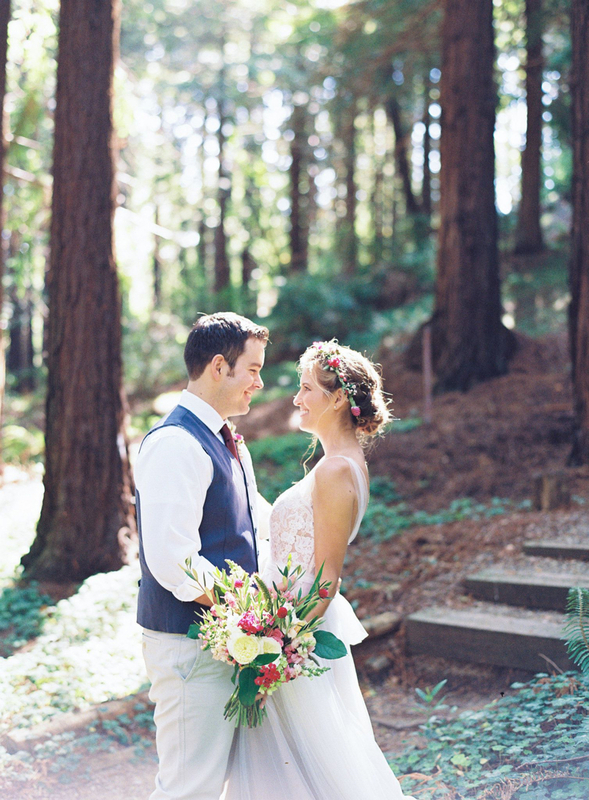 You can integrate compassionate messages into your wedding day in so many creative ways. Check out Pinterest for more ideas and inspiration! Share your own vegan wedding story with the world! VegNews magazine has a special vegan wedding issue every year, so you can submit your wedding to be considered for that. Or write a blog of your own! If you’re interested in writing a guest post about your wedding for World of Vegan, send us an email here. I hear from so many people looking for inspiration as they are planning their own wedding, so you can be a great resource for others. Congratulations on your engagement or marriage, and I wish you a long and happy life with the one you love!